I read this article and found it very interesting, thought it might be something for you. The article is called 7 Latin American alternatives to pricier U.S. destinations and is located at https://www.cheaptickets.com/blog/2019/04/7-latin-american-alternatives-to-pricier-u-s-destinations/. Sometimes, an international vacation is actually more affordable than a domestic one. With plane tickets cheaper than ever and budget airlines adding new routes by the day, it’s time to explore beyond America’s awe-inspiring—but often pricey and crowded—natural wonders and culture-packed cities. Many gorgeous, affordable options can be found south of the border, in Latin America. For example, did you know Mexico has its own Napa Valley equivalent a short drive south from San Diego, or that Lima, Peru has a food scene rivaling many major U.S. cities? To help get the travel inspiration flowing, we’ve rounded up 7 Latin American alternative to pricier U.S. destinations. Rolling Hillsides blanketed with vineyards, world-class restaurants, and the Pacific Ocean just a stone’s throw away: While it may sound like we’re describing Napa Valley, we’re not. Valle de Guadalupe, Mexico, a wine and foodie lover’s paradise just a 90-minute drive south of San Diego, is Baja’s relaxed wine country, featuring architecturally impressive wineries and charming boutique hotels galore. It’s hard not to fall in love with the scenery—and its prices, too. While tastings generally run around $10, the real value lies with the food. Acclaimed chefs like Javier Plascencia at Finca Altozana and David Castro at Fauna, serve mind-blowingly delicious local cuisines for half the price of equally delicious Napa restaurants. Start your day tasting smooth organic Tempranillo and Syrah at Finca La Carodilla then take a horseback ride through the vineyards at Adobe Guadalupe Winery. Looking for a foodie weekend getaway? Chicago probably jumps to mind with its deep-dish pizza, fancy tasting-menu restaurants and upscale Mexican cuisine. But it can also come with a mile-long bill, especially when you wrap in the price of cocktails, a plane ticket and an expensive downtown hotel room. Instead, consider swapping Italian beef for lomo saltado (beef marinated in vinegar and soy sauce then sautéed with chilies and onions) in Peru’s capital. Lima’s dynamic cuisine has influences from around the globe including Europe and Asia (particularly China), so there’s no shortage of flavors. Head to Ámaz for avant-garde dishes driven by ingredients from the Amazon, or enjoy some of the best ceviche of your life by world-renowned Peruvian-Chinese chef Javier Wong at Chez Wong. Once you’ve had ceviche in Lima, you won’t be able to stop, so add restaurant Cala to your list; this foodie hot spot helped drive the Peruvian food craze in the U.S. In Peru, you’ll really only find inflated tourist pricing around Machu Picchu; just about everything else in this beautiful county is incredibly affordable. If charming flower-draped sidewalks and amazing seafood are what you’re looking for, there’s no need to spend a fortune in the New England town of Cape Cod. Sure, the beaches are beautiful and the weather in summer is lovely, but the prices are high and the snootiness is palpable. Instead, grab your passport and head south to Cartagena where bougainvillea grows from colorful, colonial-style balconies, vendors dole out cheap, mouth-watering street food like arepas and fresh fruit juices, and the nightlife is legit. Here, you’ll enjoy a top-shelf rum punch for about $6 at Café Havana, then salsa the night away to live music until dawn. During the day, explore the charming Old City, take a tour of Convento de la Popa, or venture on boat to the Rosario Islands. For your last night, book a table at La Cevicheria for flavorful ceviche, then catch a killer sunset Cafe Del Mar atop the Old City walls. As the sun melts into the Caribbean horizon, we bet you’ll already be planning your next trip back. These two falls have something in common besides being magnificent displays of Mother Nature: They both lie on the border of two countries. Straddling Canada and the United States, Niagara Falls is an incredibly popular (and populated) destination. Think huge throngs of tourists with cameras and iPhones in hand. Consider, instead, Iguazu Falls in South America. Equally impressive in statue and scope, Iguazu straddles Brazil and Argentina and is generally less crowded, cheaper and more rugged than Niagara. On the Brazilian side, a nice hotel in the Foz do Iguaçu area runs around $50/night, and tickets tickets into the park cost around $50, including transportation once inside. From Puerto Iguazu on the Argentinian side, entry to the park is around $40. From either side, though, you’ll have a stunning view as billions of gallons of water rush over the side of lush, green cliffs in the middle of a jungle. Visiting the largest gypsum dune field in the world will require planes, trains and automobiles. The 275 square miles of sandy desert in New Mexico is truly a stunning sight to behold, but no doubt getting there can cost an arm and a leg. El Peso, which isn’t the cheapest place to fly into and will almost certainly entail two plane flights, is the closet airport. Then, you’ll have to rent a car and make your way 1.5 hours north into New Mexico. Instead, opt for the more Instagrammable salt flats in Bolivia. Salar de Uyuni is the largest salt flat in the world, covering more than 4,000 square feet and the photo scenes you can create there are epic (seriously, Google “salt flats Bolivia” and you’ll see some wildly creative shots). If you go during the rainier winter season, you’ll be amazed by the stunning mirror effect given off by the flooded white ground. By summer, the water has dried and the ground has hardened and cracked, delivering equally scenic, salty views that stretch for miles. You can book 3-day/2-night tours from the town of Uyuni for less than $200 (including transportation and accommodation! ), so then only thing you’ll need to worry about is getting that killer shot. Havana ooh na na. Half of my heart is in Havana, ooh na na. Now that we’ve got that song stuck in your head, it’s time to talk logistics. Sure, you could go to Miami, the U.S. city with the largest population of Cubans outside of Cuba, get some pretty fantastic food and probably find some legit great music. But good luck not giving away the entire piggy bank on a flight, hotel and dining; Miami is a notoriously expensive city. Why spend all that dough when you can hop on a 50-minute plane to Havana for the real thing? Time really has stood still in Cuba, but the island nation has opened up tremendously to U.S. tourism in the last decade. Stroll around the charming streets of Havana checking out all the cool 1950s vintage cars as they whiz by. Then pop out to the suburbs to visit Finca Vigia, Hemingway’s home and museum. Hotel prices in Old Havana are very budget friendly, starting at $5. Sure, entry to Yellowstone National Park only costs about $25, but its remote location in Wyoming will certainly cost you a pretty penny travel-wise. Plus, most hotels in the are at least $200/night, and that’s after you plan flight and rental car. The park also sees more than 4 million annual visitors, so you won’t exactly have all that nature to yourself. Instead, consider a more exotic park like Torres Del Paine in Chile’s southern Patagonia region. The extraordinary Chilean national park has ice fields, jagged mountain formations, cerulean lakes and gigantic glaciers. Venture out on a hike, like the park’s famous W Circuit, and spot incredible wildlife, like Andean condors soaring above. Arguably South America’s most picturesque corner, Torres del Paine is one of Mother Nature’s greatest masterpieces. I read this article and found it very interesting, thought it might be something for you. The article is called Halloween around the world: more than tricks and treats and is located at https://www.cheaptickets.com/blog/2016/10/halloween-world/. Halloween is one of the world’s oldest holidays. For some reason, the living thoroughly enjoy celebrating the dead and the after life… But who are we to complain? We love Halloween. Here is a list of how three drastically different cultures celebrate the dead. Many believe that Ireland’s ancient Samhain holiday is what morphed into what the western world calls Halloween today. It first began as a Celtic fire festival and took on many different names as the years passed and Christianity influenced Irish culture. In many places where it is practiced, Samhain falls around the same time that growing season ends, when October turns to November. It is believed that the veil between this life and the afterlife becomes thinner during this transition. Unlike some of the other holidays on this list, Samhain is thought to be a very serious and spiritual holiday for witches, Wiccans, Druids and other Pagans who observe it, and involves many different rituals and practices. One such ritual involves starting a bonfire outdoors or a small fire in a fireplace, writing down one of your bad habits that you wish to stop and then throwing it into the flames. As you do this, imagine a positive change inyour life and move around the fire clockwise. On the holiday, bonfires can be found lighting up the night in the Irish countryside. Dia de los Muertos is an elaborate and complicated Mexican holiday, which combines Aztec and Catholic traditions. It is celebrated on November 1 and 2 throughout Latin America, namely in Mexico. Although this is a holiday based on death, it is anything but scary. It is celebrated with lively and colorful parties, activities, food and drink. Those who celebrate Dia de los Muertos believe that their loved-ones who have passed on would be offended by mourning and sadness, and so they take part in all of the activities the dead would have enjoyed during life. Dia de los Muertos is widely known for its imagery, especially the lively skeletons and skulls that are used to represent the dead. These colorful characters can be found in every corner during the holiday. Families will take their time elaborately decorating their past family members’ graves during the holiday, as well as creating “ofrendas,” or altars, as a sign of love and respect. Ofrendas will typically include the loved-one’s favorite food and drinks as well as flowers, candles and photos. The Chinese have several holidays that are dedicated to celebrating ghosts and the afterlife. These holidays include the Qing Ming Festival, the Spring Festival and the Double Ninth Festival. Another of these festivals is the Hungry Ghost Festival, also known as the Zhongyuan Festival by Taoists and the Yulanpen Festival by Buddhists, which falls on the 15th day of the seventh lunar month. This specific date was chosen because of the traditional Chinese belief that the seventh month is when restless spirits roam the earth. During this ancient holiday, many people in China hope to please the restless ghosts and “feed” their ancestors as well, linking the holiday to the Chinese tradition of ancestor worship. If you visit a Hungry Ghost celebration, be prepared to witness many roadside fires and burnings of offerings for ghosts and ancestors to use in the afterlife. Offerings include food, gifts and even some faux cash. Entertainment is also important to those who have passed on tothe afterlife. The Hungry Ghost Festivals often include Chinese operas and other live stage performances, which feature tales of gods and goddesses. You can also find stand-up comedy, and numerous song and dance performances. For one long lunar month during the Hungry Ghost Festival, ghosts are said to roam the earth. By Juin Hoo, (https://creativecommons.org/licenses/by-nc-nd/2.0/), via Flickr. I read this article and found it very interesting, thought it might be something for you. The article is called 7 worthwhile Mexico destinations that aren’t Cancun and is located at https://www.cheaptickets.com/blog/2016/05/7-worthwhile-mexico-destinations-that-arent-cancun/. If this spring’s lukewarm weather has you dreaming of an exotic getaway with cold drinks and a hot sun, you’re definitely not alone. Popular spots like Cancun and Cozumel are obvious picks, but there’s a lot more to our southern neighbor—and, specifically, these Mexico destinations—than powdery beaches. If you’re looking for something a little more authentic or less crowded, read on. This is basically Mexico personified. Think mariachi music, always-flowing tequila and mind-blowingly beautiful plazas, but leave the stereotypes at the airport. Besides the admittedly dangerous margaritas and all-out fun that Cinco de Mayo is known for, you can easily discover some deeply enriching cultural experiences. Explore the historic center’s churches and cathedrals before settling in for a night of live music and fun. If you’re a fan of Mexico’s most famous elixir, hop on the Tequila Express (no joke) out to the Jalisco countryside to see how the inhibition-bending drink is made, have some samples, and dine on regional specialties before a mariachi dance performance. Snag a bargain at Hotel Morales in the colonial downtown district to stay plugged into Guadalajara‘s rapid, nonstop pulse. Ancient ruins? Check. Resorts galore? Check. Postcard-worthy beaches? They’re some of the best in the world. Welcome to Tulum, a fabled destination for beach bums and history-lovers alike. When you’re not exploring the ancient, walled Mayan city—which edges up against the turquoise Caribbean Sea—you can walk right onto the beach for a little sunbathing, or cool off in a gorgeous cenote or two. Plus, UNESCO World Heritage site Sian Ka’an is located just south of this surprisingly affordable beach town. It’s worth the trip to snorkel with the dolphins, turtles and fish that call the Mesoamerican Reef home, and take a boat tour along the diverse park’s mangrove canals and ruins. Rest your weary suitcases at Maison Tulum for a steal before heading to nearby Tulum National Park for a hike. ‘The Pearl of the Pacific’ isn’t just a fancy nickname—this beach town is perfect for an outdoorsy adventure, thanks to its numerous islands, seaside promenade, beaches and lagoons. It’s also located along the migration routes of several whale species, who pass through the region between December and March. Get up close to the endangered Humpback Whale by signing up for a whale watching tour through Onca Explorations (which also offers mangrove kayaking, swimming with dolphins and plenty of other eco-adventures). In Plaza Machado you’ll find the the best restaurants and shops in town, and it’s not far from Casa Lucila Hotel Boutique, a great (and inexpensive) spot to lay your head at the end of a busy day. Plus, it’s within walking distance of Mazatlan Archaeological Museum and the Olas Atlas Beach. This Pacific Coast town is a far cry from the quiet fisherman’s village it used to be, but has still retained much of the charm that has attracted so many visitors for the last 40 years. Best known for its beautiful beaches and cobblestone streets, there is plenty to see and do here while soaking up that famously warm sun. Sign up for a eco-tour, kayaking, snorkeling or horseback riding on the beach to get the most out of your days. Then, at night, take a romantic (or friendly) sunset stroll along the waterfront. While the beach is by far the main draw, food comes in at a delicious second place. Learn to make local delicacies at the highly rated Zihuatanejo Cooking School, or scarf them down at eateries like the seafood-focused El Gabo and hipster cantina La Katrina. Need to sleep? Easy. Let the crashing waves lull you to sleep at Catalina Beach Resort. Cleaner, hipper, and better than ever (or at least recent history), the capital of Mexico is in the middle of a renaissance, thanks to its exploding cultural and culinary scenes. To that point: take a boat tour through the canals and nosh on Hidalgo-style barbacoa at El Hidaguense before exploring the vast collections of the Palacio de Bellas Artes. The city is also home to so many world-class museums and historic, beautiful buildings you’ll never see it all, but it’s definitely worth a shot. Spend some time checking out wonders of the ancient world like Templo Mayor—an old Aztec temple that dates back to when Mexico City was named Tenochtitlan—and the mysterious Teotihuacán Pyramids just north of the city. Visit Plaza de la Constitución for some people watching, and try Paseo de la Reforma for a lovely evening walk before retiring to the Hotel El Ejecutivo. If you’re up for some serious adventure, check out northern Mexico’s Copper Canyon, which is four times bigger than the impossibly huge Grand Canyon and tucked in the middle of the Sierra Madres. Considering its size, you won’t get far on foot (that’s not to say that the hiking is not 100% worth it). But to a big part of it, book a 14-hour ride on the Chihuahua al Pacifico Railway, which will take you between cities of Mochis and Chihuahua, and past lakes, forests and over bridges along the way. The lengthy itinerary includes plenty of stops where you can stretch your legs and check out the mind-boggling scenery. This beautiful, old city nestled in central Mexico is chock-full of history. San Miguel de Allende gets its name from a prominent figure of the War of Independence, and offers well-preserved Colonial and Spanish architecture on nearly every corner. Best of all, the city is home to a thriving art scene that draws people from all over the world. You can spend your days drifting from galleries to shop-lined streets to find the perfect pieces to take home as a reminder of your more-memorable-than-Cancun travels. For an authentic, local experience, stay at Antigua Capilla Bed and Breakfast, just a few blocks from the city center. I read this article and found it very interesting, thought it might be something for you. The article is called Tell us your cheap tips to win a free trip! 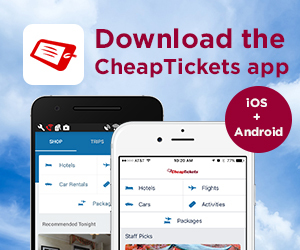 and is located at https://www.cheaptickets.com/blog/2015/11/tell-us-your-cheap-tips-to-win-a-free-trip/. Call for all cheap travel tips, big and small! How cheap are you? So cheap that you have enough cheap travel tips to fill a book? That plethora of knowledge could win you 1 of 5 free vacations if you enter it into the Show Us Your Cheap contest. We’re giving away trips to 5 winners with the best tips to Mexico, the Caribbean, Europe and Hawaii. Enter here and share your best cheap travel time along with a vacation photo. Just for entering and sharing the Show Us Your Cheap contest with your friends you can get $20 in CheapCa$h to use on a hotel booking. I read this article and found it very interesting, thought it might be something for you. The article is called 6 tips for traveling during hurricane season and is located at https://www.cheaptickets.com/blog/2015/08/6-tips-for-traveling-during-hurricane-season/. Trips to the Caribbean, Mexico and Central America are pretty cheap this time of year, what with June to November being Atlantic hurricane season. If you can’t resist a great deal, you can still snag a bargain vacation and reduce your odds of getting hurricaned on. Just follow these tips. 1) Avoid hurricane hot spots. While there are no guarantees in life, some destinations are more hurricane-prone than others. To avoid islands outside of the so-called hurricane belt, focus on the southern Caribbean and remember your ABCs—Aruba, Bonaire and Curaçao are generally safer bets for avoiding a direct hit. 2) Book last-minute. Sometimes it pays to procrastinate. If your schedule is flexible, then check the extended weather forecast and book your trip when the coast is clear—literally. The CheapTickets Last-Minute Flight and Travel Deals page can help you find bargains in a hurry. 3) Get the insurance. You’re already saving a bundle by vacationing during the off-season. Do yourself a favor and buy travel insurance. Packages generally cost between 5 and 10 percent of the value of your trip; insurance on, say, a $1,500 trip would cost around$150. Make sure your policy includes “trip cancellation and interruption,” and check to see if your credit card company automatically includes insurance on trips you’ve paid for with the card. 4) Fly smart. If possible, book a direct flight and avoid checking your luggage to avoid needless hassles like missed connections and lost luggage. 5) Be an airport ace. When flights get cancelled, airports turn into an episode of Survivor. Stay one step ahead of your fellow passengers by arriving the your gate early and hanging out near the kiosk so you can hear updates and get your name on the list for food and hotel vouchers, should they be offered. Share your contact info with the gate agent, and keep your cell phone charged so you’ll be accessible to the airline and. Also download the FlightStats app so you can see when seats become available. 6) Document everything. If you find yourself stranded, hold onto your receipts for food, cab rides, hotel rooms and other expenses so you can be reimbursed by your insurance company. Use an app like TinyScan to limit the paperwork. I read this article and found it very interesting, thought it might be something for you. The article is called Top cheap vacation destinations for 2009 and is located at https://www.cheaptickets.com/blog/2008/12/top-cheap-vacation-destinations-for-2009/. The key to cheap travel is knowing the best time to find cheap flights and cheap hotels. So we created the CheapTickets 2009 Value Travel Forecast, a month-by-month guide of top destinations that offer the most savings for travelers. To help identify the best budget-friendly travel opportunities for next year, we analyzed hotels booked on CheapTickets from December 2007 to November 2008 and calculated the percentage of savings compared to peak rates. In addition to a 37 percent savings on New York hotels compared to peak rates, retailers are buzzing with post-holiday sales, and big-city attractions are easily accessible now that the holiday crowds have come and gone. Visitors can also take advantage of New York City’s Restaurant Week in January, giving them access to some of the city’s best restaurants for a fraction of the price. 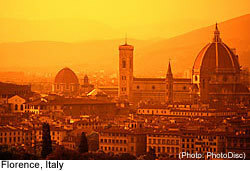 In February, Italy is just starting to come out of its winter cloak, and budget travelers will appreciate the lower airfare and savings of up to 42 percent on Italy hotels when compared to the high season. February visitors can experience one of Italy’s most famous festivals, Carnevale. This historic, seacoast town is filled with galleries, one-of-kind boutiques and incredible restaurants serving everything from creamy clam chowder and lobster rolls to nouvelle New England cuisine. In April, the summer surge of tourists in Brazil is complete, which means fewer crowds, but the same great tropical weather. 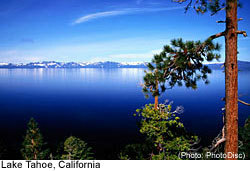 For those who love the outdoors, Lake Tahoe is the ideal destination in May. The lake is popular for water sports and beach activities, and with 38 percent savings on Lake Tahoe hotels compared to peak winter rates, going during the off-season means affording activities like a guided cruise or dining at the many lake front restaurants. With 38 percent savings compared to peak rates, June visitors can relax on the wondrous Red Sea or Sinai coasts, take in the high culture of Cairo or even leisurely float down the Egyptian Nile on a river boat. I read this article and found it very interesting, thought it might be something for you. The article is called Fall Beach Sale: Only one week left to save and is located at https://www.cheaptickets.com/blog/2008/11/fall-beach-sale-only-one-week-left-to-save/. With fall in full swing and winter around the corner, there has never been a better time for a cheap vacation. And the CheapTickets Fall Beach Sale can help. Until November 23, 2008, CheapTickets is offering $100 off flight + hotel vacation packages of four nights or more to beach hot spots. So you can travel to the Caribbean,Florida, California, Mexico, Puerto Rico and Hawaii and save. Looking for cheap hotels in Hawaii? Surf’s up at the Outrigger Reef on the Beach hotel in fabulous Honolulu. Known for being one of the most “Hawaiian” hotels on Waikiki Beach, this hotel offers the best in Hawaiian travel. During the CheapTickets Fall Beach Sale, in addition to saving $100 instantly, the Outrigger Reef on the Beach hotel is offering a 4th night free! 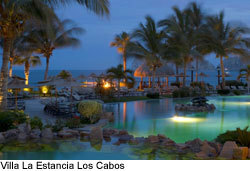 Or maybe you’re looking for cheap flights to Mexico and cheap hotels in Cabo San Lucas, Mexico. Take in the sights, sounds and sun of this vacation hot spot as you lounge by the pool at the Villa Las Estancia Los Cabos, one of the premier resorts in the area. For a limited time only, save up to 45% on yourstay in addition to CheapTickets $100 instant savings. Or, stay closer to home with cheap flights to California and Florida. Choose from many cheap hotels in these states’ hot beach destinations. Visit sunny Orlando and take advantage of up to 40% off your vacation and a $50 resort credit when you stay at the Regal Sun Resort. Or explore the beaches of San Diego with 25% off your stay at the Ocean Park Inn. You can choose from hundreds of hotels in great beach destinations, but you have to book soon. 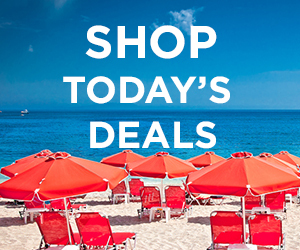 The Fall Beach Sale ends November 23. I read this article and found it very interesting, thought it might be something for you. The article is called Deal of the Day: Relax in Manzanillo from $181 per night and is located at https://www.cheaptickets.com/blog/2008/11/deal-of-the-day-relax-in-manzanillo-from-181-per-night/. The CheapTickets Deal of the Day this week is for travel to Manzanillo, a sunny resort town on Mexico‘s Pacific Coast. 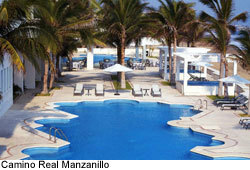 One of the Manzanillo hotels we’re highlighting is the Camino Real Manzanillo. Right now this four-starhotel is offering 35% off regular rates. I found discounted rooms for $181 per night November 30 – December 1. Plus, if you book a flight + hotel vacation package of four nights or more, you can save an additional $100 instantly with CheapTickets’ Fall Beach Sale. Just book by November 23 and travel by March 31, 2009. What makes the Camino Real Manzanillo our pick among Manzanillo hotels? The hotel offers beachfront suites, has two swimming pools and has earned a perfect rating of 5 out of 5 from CheapTickets customers who have stayed at the property. 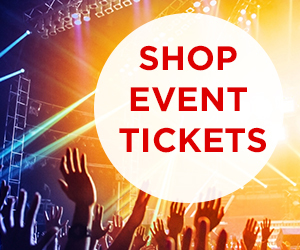 Heather Leisman is senior director of merchandising for CheapTickets.